Leif Colson was born and raised in Northern Idaho. At 18, he moved to Colorado to study photography and it was there he had a chance encounter with a kaleidoscope at a large music festival. 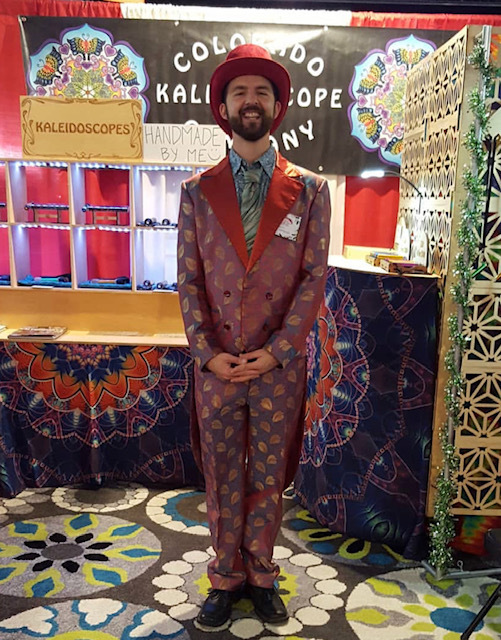 After seeing that first kaleidoscope, he knew it would be his mission to create and contribute kaleidoscopes to the live music scene that he loved so much; and, wherever else he could find an occasion to say, "Want to see a neat kaleidoscope I made?"